I have the privilege of living on a small mountain in the foothills of the Cascade Mountain Range, and on top of that mountain is a huge urban wildland park. This week I decided to hike in to what I refer to as my “back yard” and see what kind of late autumn photographs I could find. The mountain I live on is called Cougar Mountain, and is one of the mountains that make up what locals lovingly refer to as the Issaquah Alps. Other mountains in the “Alps” include Squak Mountain, Tiger Mountain, Taylor Mountain, Rattlesnake Ridge, Rattlesnake Mountain, and Grand Ridge. While Tiger Mountain has no tigers, and Rattlesnake Mountain has no rattlesnakes, Cougar Mountain absolutely has cougars, though you will likely never see one. Chances are, though, that if you’ve hiked on Cougar Mountain, a cougar has seen and possibly stalked you. Anyone up for a hike? The urban park on top of Cougar Mountain is unlike most urban parks you’ll come across. For starters, it’s over 3,100 acres in size! 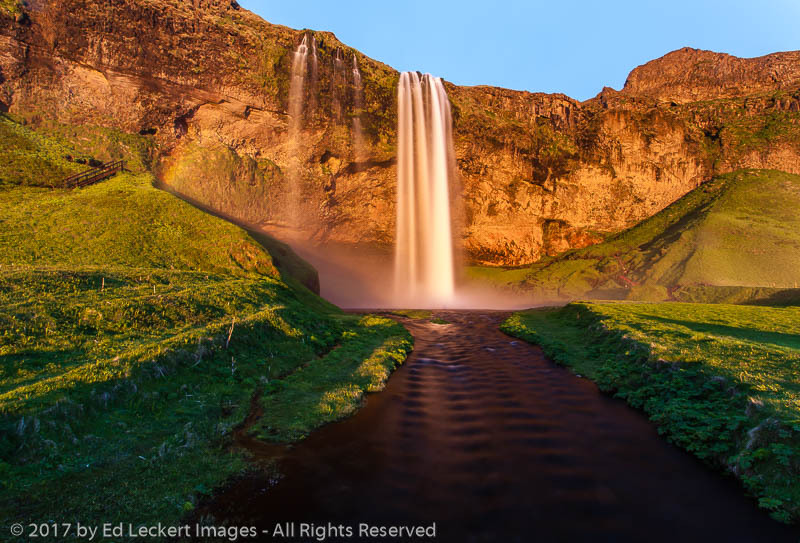 Compare that to Central Park in New York City at 843 acres or City Park in New Orleans at 1,300-acres. But there really is no comparison, as the park in Cougar Mountain is almost completely undeveloped, except for parking lots around the perimeter and a massive trail system throughout. 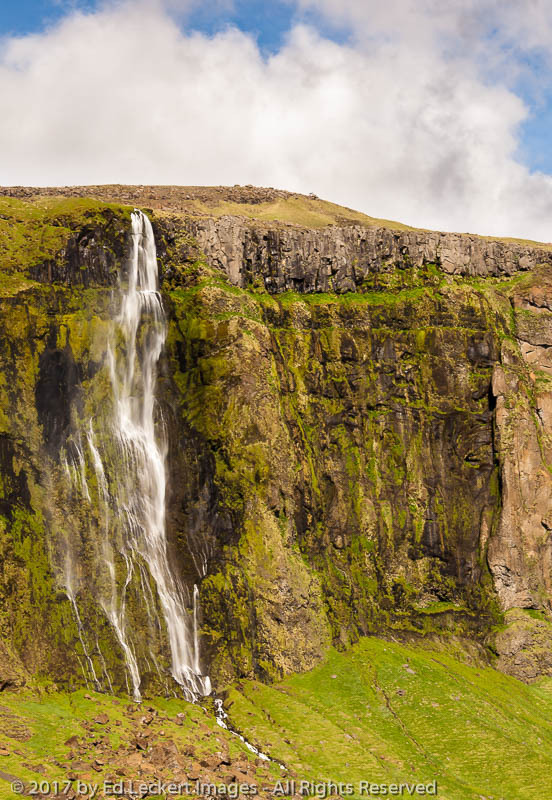 Inside the park you’ll find mature second growth forests, countless streams, wetlands, granite cliffs, talus, and even caves. 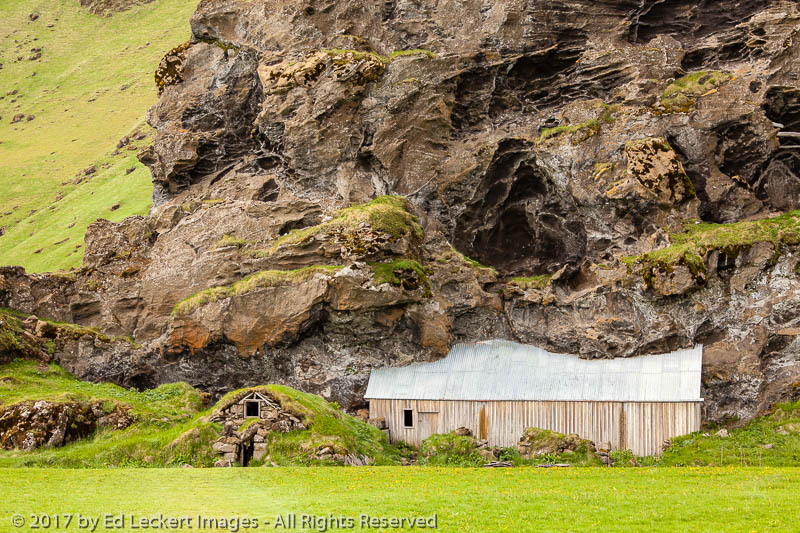 Author and conservationist Harvey Manning called it “A great big green and quiet place”. 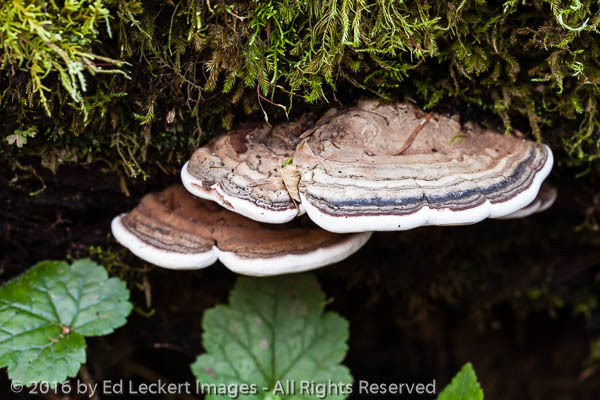 A pair of mushrooms cling to a fallen log in Cougar Mountain Wildland Park, Issaquah, Washington. The park is so big and has so many trailheads that I’ve been tasked several times over the years with helping lost hikers determine which trailhead they started from! Newcomers park at a trailhead thinking it’s the only one and wonder into the maze of trails before realizing that they don’t know how to get back, usually ending up at another trailhead on the opposite side of the park! Grab a map at the kiosks and orient yourself before heading into the woods, folks! So what did I find inside the park in early November? Well, for one thing, wildflowers! This pretty little wildflower seems hardier than most and can be found all over the park. 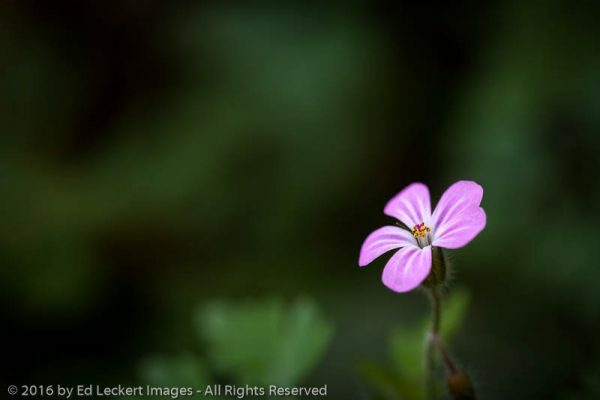 I believe it is a Geranium robertianum, or Herb Robert, a noxious weed that is non-native and suppresses native species while spreading rapidly. Oh well, at least it’s pretty. Of course, this being a rather wet area, I found lots of mushrooms. While I didn’t find any that I know to be edible, I did find some pretty cool looking ones. 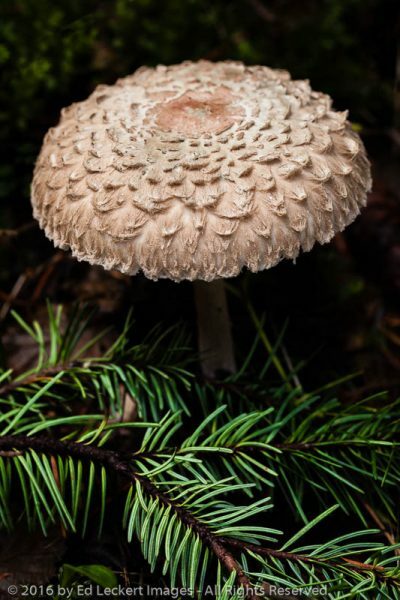 A mushroom resembles a fancy umbrella, in Cougar Mountain Wildland Park, Issaquah, Washington. I also came across tiny little ferns growing out of the moss on the sides of living trees. In a cluttered forest like this, it’s every plant for itself, and anything a plant can do to get a “leg up” on the competition in the fight for sunlight, it will do. 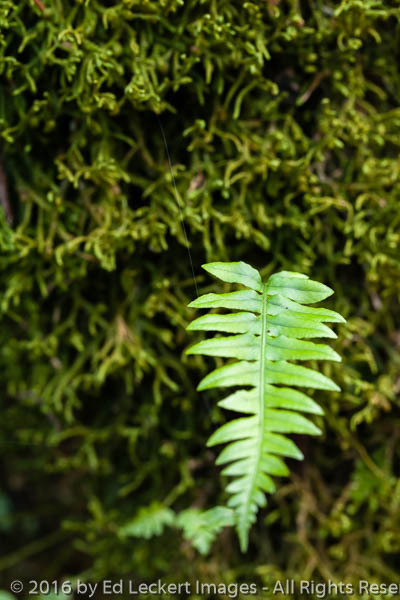 A small fern grows out of the moss on the side of a tree, in Cougar Mountain Wildland Park, Issaquah, Washington. Banana slugs are also ubiquitous in the park, and if you’re not careful you’re likely to step on one on the trail. I’m guessing you probably don’t want one of these slimy creatures stuck to your boots. 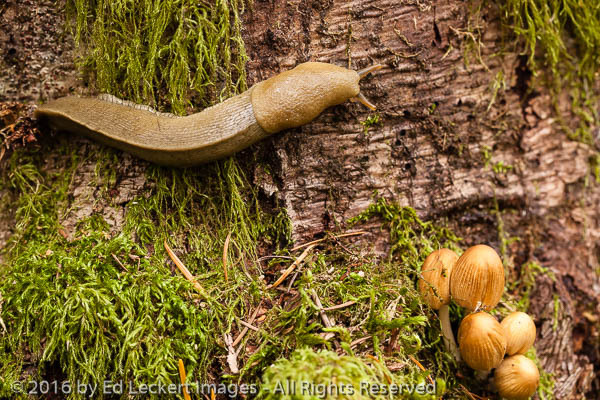 A banana slug hunts for dinner near a cluster of wild mushrooms at the Cougar Mountain Wildland Park, Issaquah, Washington. Birds of all types love the park, and as you’re hiking you’re more likely to spook a bird on the side of the trail than any other kind of creature. Depending on the size and proximity of the alarmed bird, their sudden flight can often cause your heart to skip a beat as you try to determine the source of the commotion just off the trail. 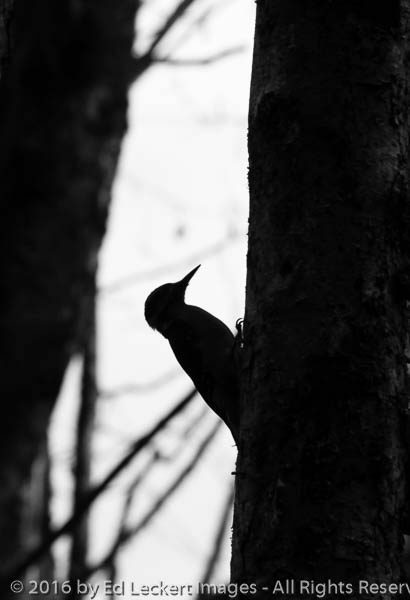 A woodpecker prepares to probe into a tree, in Cougar Mountain Wildland Park, Issaquah, Washington. I did also manage to come across a medium-sized deer on the trail. Hunting, of course, is not allowed in the park or anywhere near here, so he wasn’t too concerned about my presence. While he backed up slightly to a respectable distance, he wasn’t willing to leave the area and forego his dinner of choice just to avoid me. So to recap, what did I find in the park? 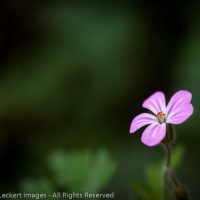 Well, several types of wildflowers, numerous mushroom types, birds of all kinds, slugs, beetles, squirrels, deer, and a rooster. OK, to be fair, I just heard a rooster crowing at a nearby residence. And people? I ran into a couple of teen aged girls who asked where the viewpoints where in the park. (There are very few, and they’re not that great.) And I passed a woman hiking in as I was on my way out. Oh, and there was one trail runner. Did I mention I was in the park for four hours, and saw exactly four people? Now that’s my idea of getting back to nature! 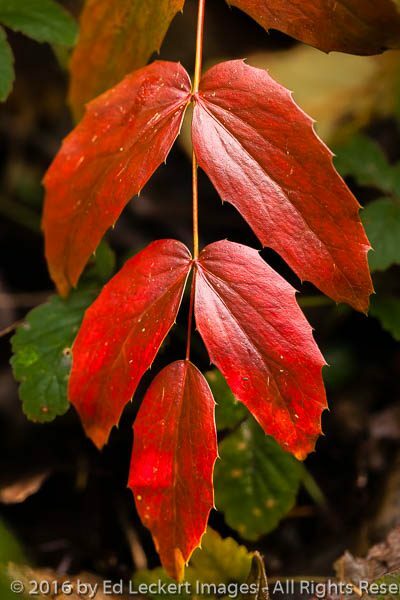 Leaves turn red in Cougar Mountain Wildland Park, Issaquah, Washington. Thanks for the virtual hike this morning.